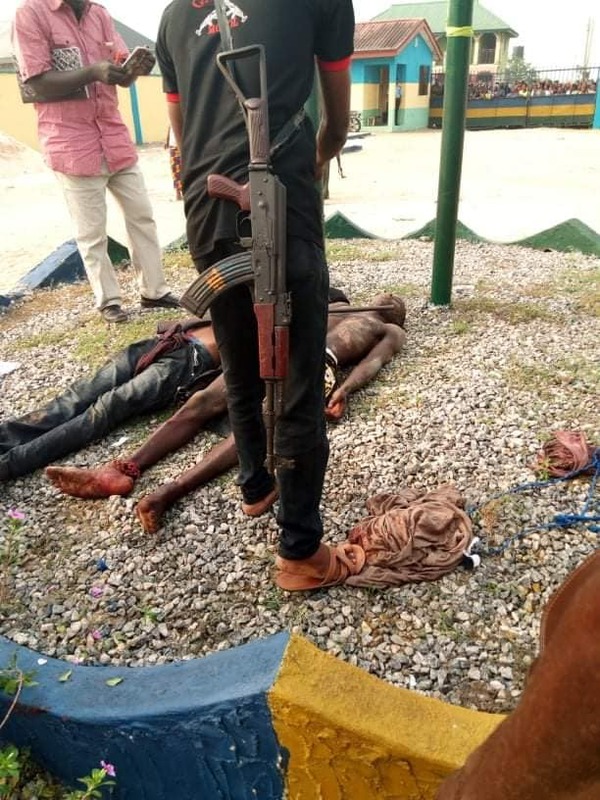 Security operatives have gunned down two armed robbers following an operation in Delta. 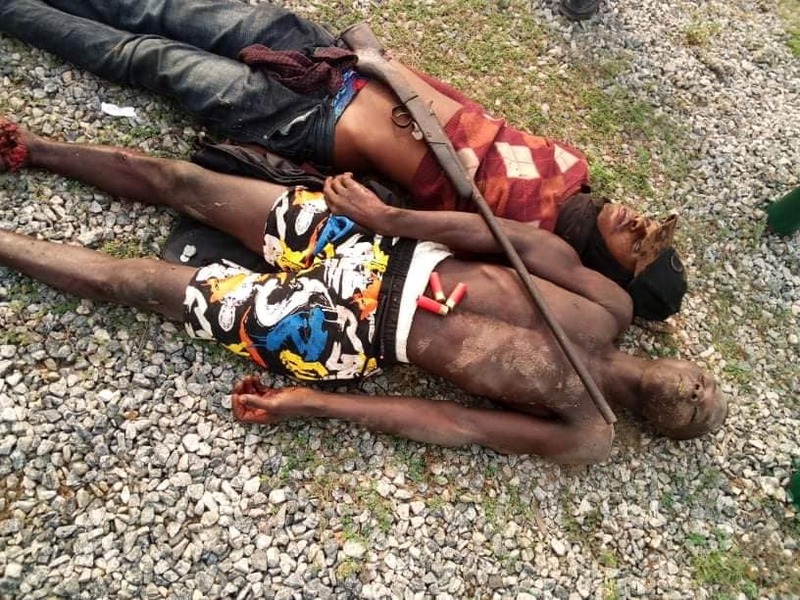 It was gathered that the hoodlums about seven in number, attacked some residents in Oghara, Ethiope West Local Government Area of Delta State and were about to steal a Toyota Venza car before vigilante men showed up and shot one of them dead as the rest took to their heels. The police took the corpse of the slain robber to the station. According to reports, his gang members not knowing their colleague has been killed, continued to call his phone repeatedly. A policeman at the station picked the call and pretended to be the robber who was gunned down – in a bid to lure them out. One of the robbers with a black mask and cap, was said to have been controlled to another location where he thought he was meeting with his gang member. On getting there, he was shot dead after running into policemen who were waiting for him. The corpses of the robbers were taken to the police station in Oghara.